You are here: Home » Steam Whistle – Find the Golden Opener in 12 Packs! 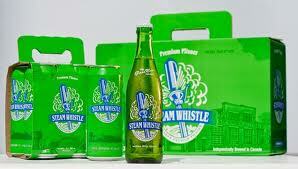 Steam Whistle – Find the Golden Opener in 12 Packs! 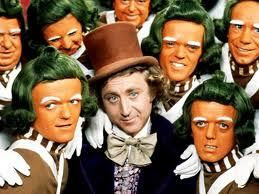 have always believed that companies do not emulate Charlie and the Chocolate Factory enough. Well, in a Pawtuket Pat-esque move, Steam Whistle has decided to step up. As many know, each year, Steam Whistle includes retro style bottle openers in their 12 packs for a limited time – which is already a pretty decent promotion compared to the standard triple XL t-shirts that are usually given away. But this year, certain cases will contain Golden Openers which entitle the finder to a greater prize. Steam Whistle is keeping some mystery around the prizes but, while no one has been handed the keys to the brewery yet, so far a couple of winners have gotten some pretty sweet rewards, including a cottage party. I’d say its a pretty good reason to buy good beer if you needed one. Of course, if you’ve read Charlie and the Great Glass Elevator, you know that this might all end fairly poorly. However, worth the risk…right? ← Craft Beer a Hit at Ball Parks – Where’s Roger?